This age is one of my favourites to capture. Baby has just learned how to sit often, they are full of smiles and generally in happy spirits. Best part - they can’t crawl away yet! Since it was beautiful outside, we opted to do the session at the Ornamental Gardens. We started off with a lifestyle approach with snuggles and nursing on a blanket in the grass. We tried to have him sit in the grass afterwards, but he wanted nothing to do with it. I put a blanket down, nope. Even inside a bowl, not touching the grass didn’t fly. Thankfully, the gardens has a rocky path, so we went there and he was happy. Such a personality already. What made you choose an outdoor versus indoor? Outdoor was chosen because it was a lovely time of year. The weather was warm, flowers and trees in bloom and we love the outdoors. There are so many beautiful outdoor Ottawa locations. Very! The Arboretum has many unique and picturesque areas. Has he gotten over his fear of grass? LOL! Yes, he has. It still took some time but by mid-summer he was happily travelling all over the grass. Did you have a favourite image - which? I love the image of him on the path, sitting in the basket, with the little smile on his face. That expression comically followed him giving a heavy dose of side eye to the nearby foliage. It was fun! There is also an earlier image of him breastfeeding (the camera looking over my shoulder) that is very special to me. What made you choose to dress him in orange? I personally loved the bold choice, but I don't see it often. I'm not known for travelling the beaten path. Those little overalls were also a longstanding favourite of mine and our three sons wore them. Orange is one of my favourite colours and I find it really makes blue eyes shine. 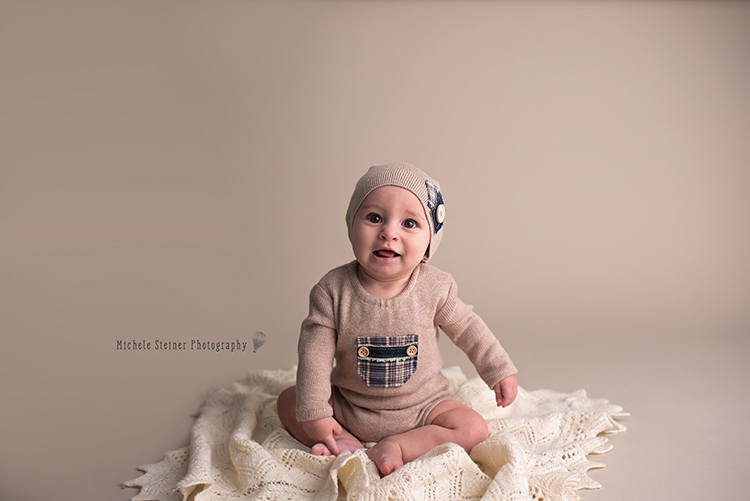 This sweet little one’s parents are drawn to natural and earthy colours and items. Their home decor reflects a rustic feel. When filling out the questionnaire, they requested natural props and earthy tones. 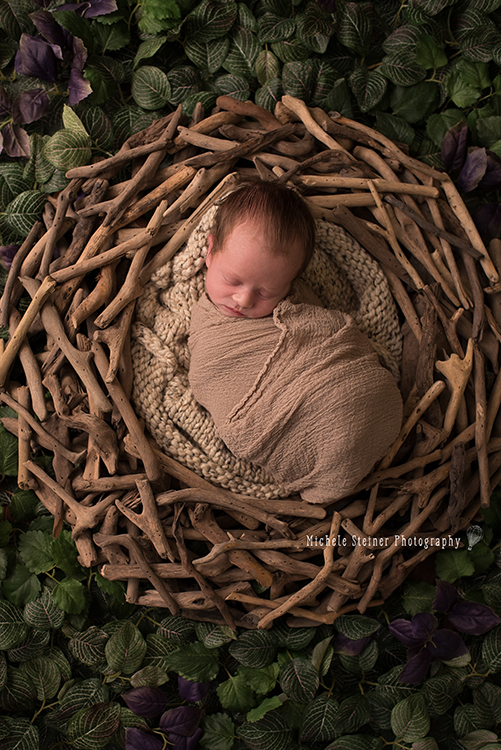 I immediately thought of greenery and a branch nest with the wee little one wrapped up in the middle. 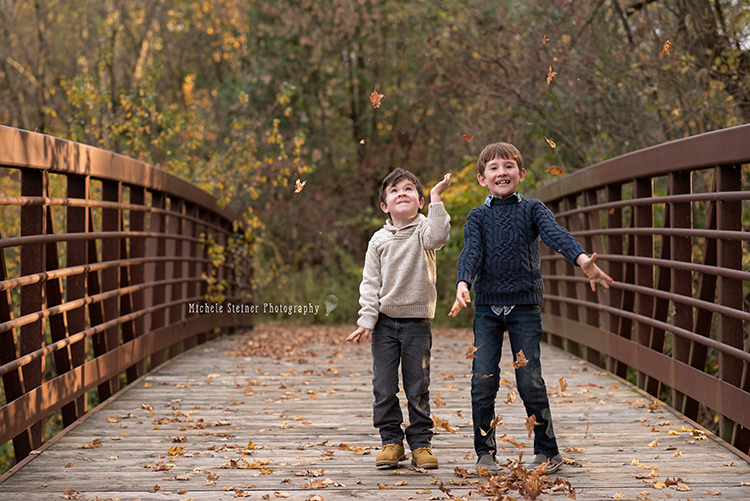 Did you feel like your session captured your style? Yes, it had a very earthy natural feel to the photographs. Do you have a favourite image? Which one and why? I love watching M. enjoy experiencing the world. She’s so inquisitive, curious, clever and is always so happy to have new experiences. 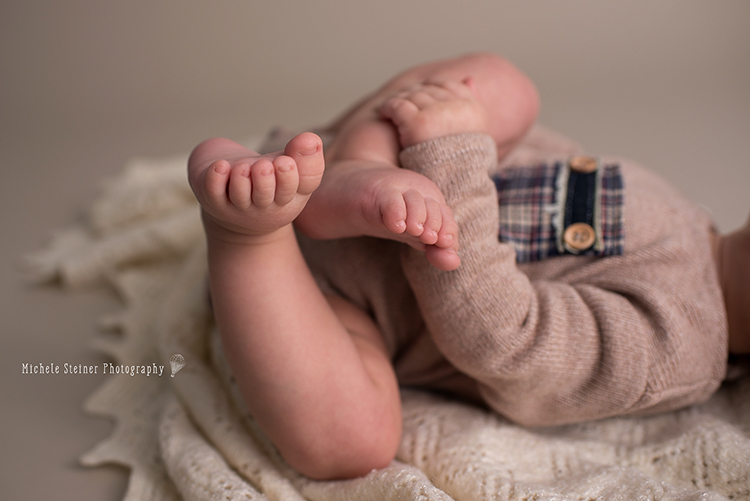 When booking a newborn session, your session is fully customized to your taste, suit your nursery, the colours on the walls or to complement the style of your home. I absolutely love how this session turned out. 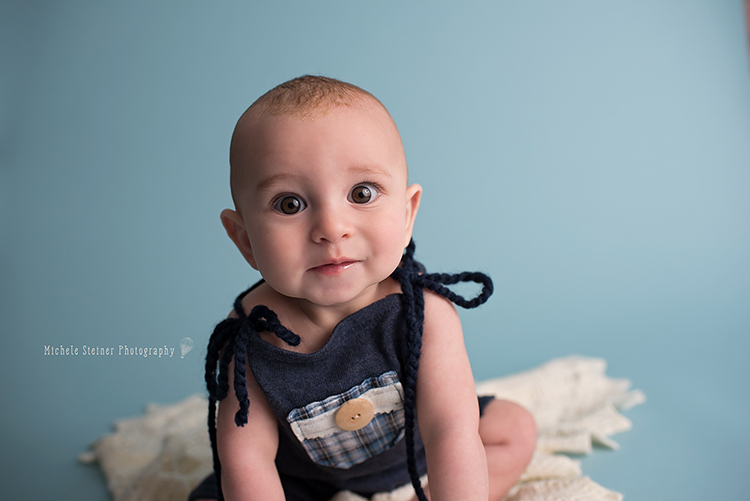 All clients with sessions currently booked between September 27th, 2018 and December 31st, 2018 - Bring a box of diapers or a box of wipes to your session and receive a FREE digital image (value: $25). Donations will be taken to the Ottawa Food Bank weekly as they are received. I thank you all so much for your help and generosity! I felt this was not enough. I keep seeing stories and videos of the damages people have experienced. I'm going to donate the proceeds from the next 3 fall session slots booked (October 13th & 20th - date is up to you when booking) to the Canadian Red Cross - Ottawa/Gatineau Tornado Appeal. 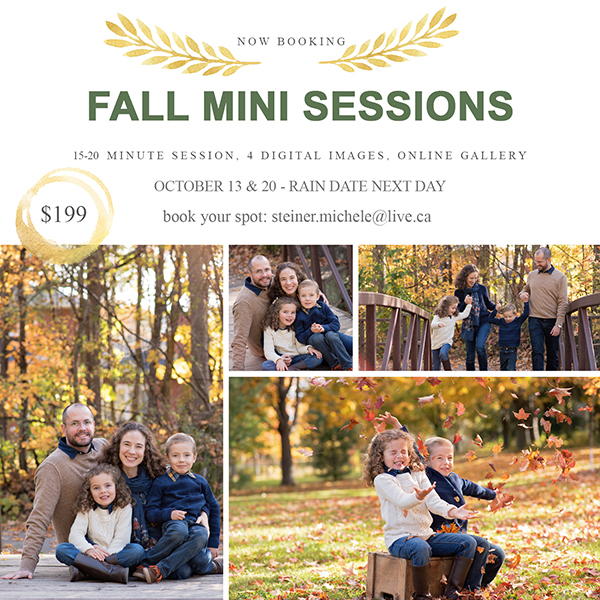 100% of your session cost will go towards the families affected. Together, we can make this happen!! Spread the word. I know not everyone thinks of doing family photos in the winter, but they can be so pretty. The crisp white snow, the patches of ground showing through, the branches covered in a fine blanket of snow. We talked about a few options for location and ended up going to Mer Bleu Bog in Ottawa. It was a tad chilly – no lie. They were rockstars! Had fun with this sweet family and so glad I brought a blanket for them to warm up underneath with. It ended up coordinating with their outfits so well that we used it in some shots. I absolutely loved the styling of their clothing they wore. Love the look of layers on clients. 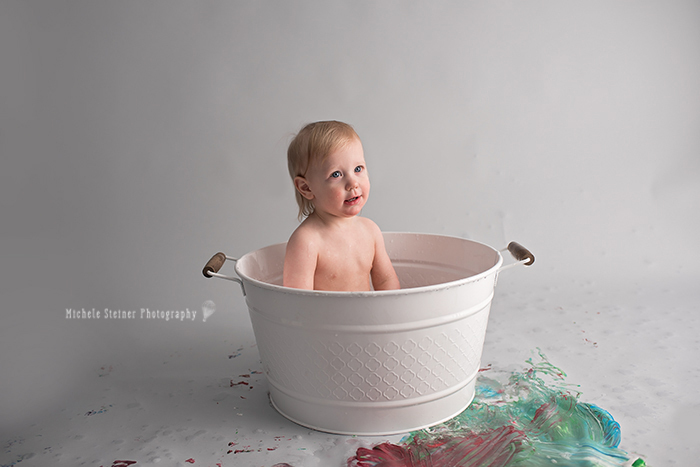 I asked her a few questions afterwards to get a better idea of how she thought her session went. I love doing this to see client’s perspectives. 1) What were you most worried about for your session? I was most worried about the cold frigid air, if we would be warm enough and if my son would cooperate. 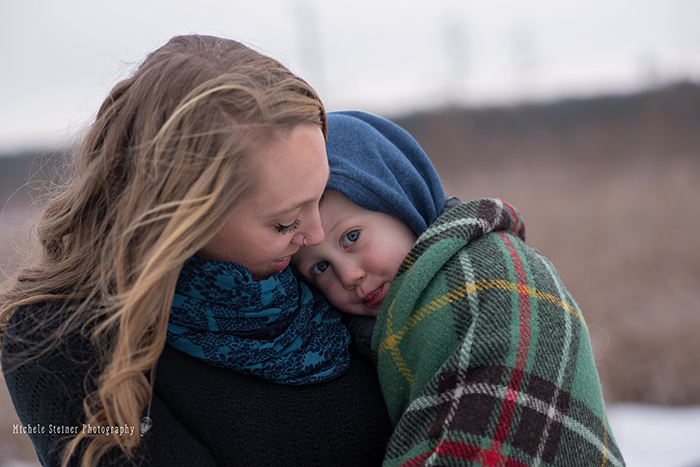 2) Why did you choose to do your family photos in the winter? Are you happy with the outcome? Chose to do winter because I have a summer and spring session with Michele already and want to complete all the seasons. I am very happy with the outcome. 3) When planning your session, a few location options were offered and you decided on mer bleu. What made you pick this spot? It was a different location than I have used before and very unique. I’d say her session was a success. Lots of cuddling, images full of love and fun. I can’t wait to see them next fall to complete her “seasons” sessions. 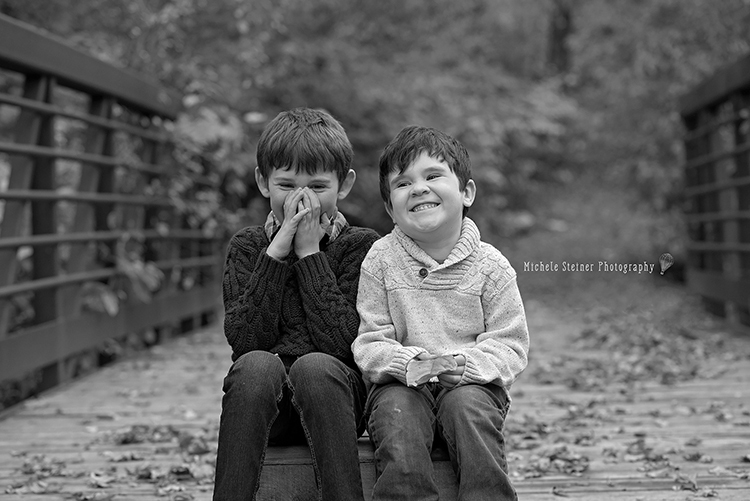 Maybe after seeing her session taken in the winter, you may decide to do your family photos during that season. A milestone session is just that. To celebrate an achievement!! For babies it would be holding their heads up, sitting unassisted and their first birthday! 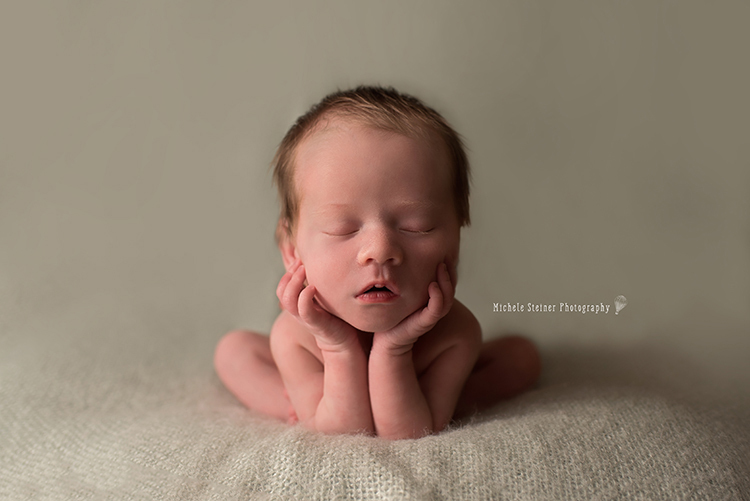 Milestone sessions capture the fleeting moments your baby has for you to look back on. Their expression as they lift their heads with wrinkly foreheads, tiny toes curled together, little chubby hands gripping their feet. I provide all the props and accessories for your sweet little one’s session and have many outfit options available to choose from. You are welcome to bring a special outfit from home to mix with mine or just use the studio outfits exclusively. Usually there are 2-3 outfit changes in the length of the session. 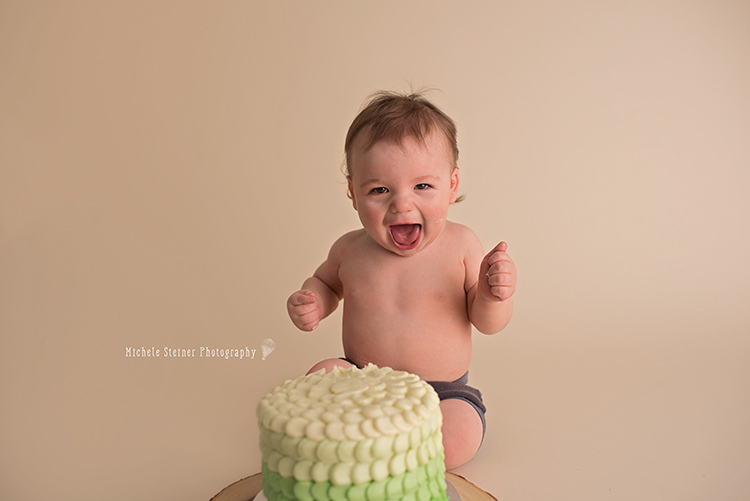 My cake smash sessions are very simple set ups so the main focus is on your baby. One neutral coloured paper backdrop and some minor accents or props if requested would be used. I love sweet, simple and timeless! The cake is included in your session fee and simple styles and colour to be chosen by you with the baker and any allergies to be mentioned to her. Pick up will be taken care of by you either the night before our session or morning of. 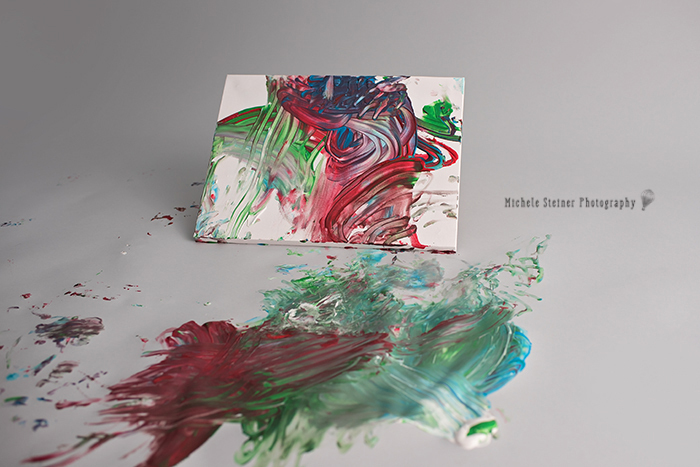 We can also do a smash alternative – painting! Or a different food interest – melon, berries, spaghetti, tacos… the list is endless. This session ends with a bubble bath clean up. Did you know I offer prints and products through a professional lab calibrated to my computer? For milestone sessions I usually recommend a keepsake album. There are so many special moments captured that it makes it hard to choose which ones to print, so an album to flip though is amazing. I offer two unique options for albums: a lay flat – where the pages lay flat and a hand torn – it gives an extra bit of luxury feel. I’m often asked how I took personal images of my family. 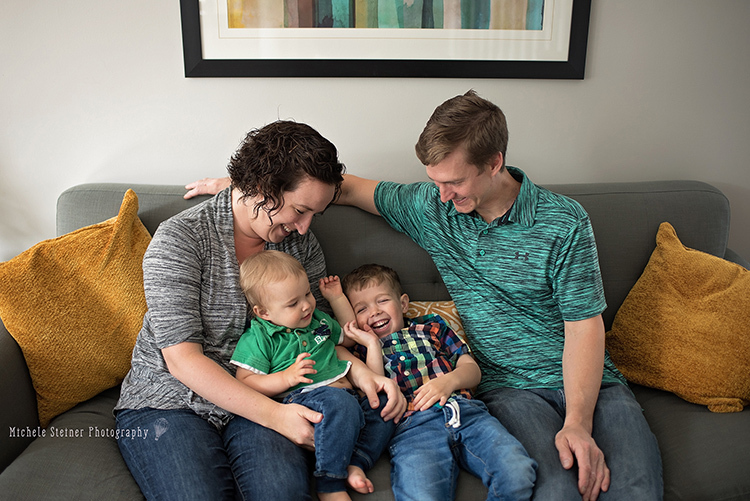 “What did you do to get them to look like that?” “How can I take them like you?” “Can you share your secret?” I often try to do mostly lifestyle when capturing my family, only because I love the candid, natural rawness I get from them. 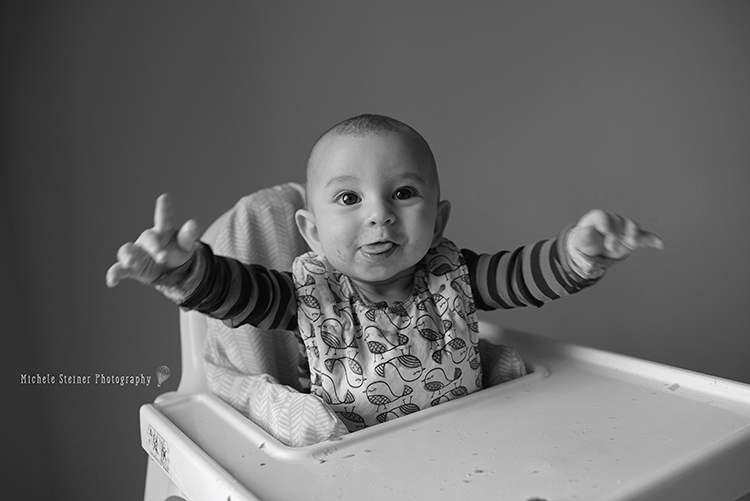 So I decided to compile some tips for shooting images of your children. TIP #1 LET IN THE LIGHT! Indoor light can be tricky, so open those curtains, even the door if you’d like to get some of that beautiful natural light inside! I try to engage them near a window if I can, otherwise place myself with my back turned towards the window without blocking it and watch the scene unfold. If you’re outside, do your best to hang near the shade during harsh mid-day sun, shoot in the early morning or late evening. I always recommend getting down to your subject eye level and shooting straight on versus the natural go-to of many that stand and shoot downwards. Then, experiment with your angles. Shoot over their shoulder as they draw a picture, from behind to get the reaction of a sibling interaction, from above as they're reading a book capturing the details of their lashes and little fingers. Use plants or banisters to shoot through or frame your images. Perspective is everything. Sometimes, the details are important in telling a story, or capturing the realness of your child. The pudgy knees of a new walker, tiny hands holding a crayon, that look a sibling gives, messy toes full of sand, or the way she twirls her hair when she’s tired. All of these moments are what we will treasure from their childhood. Close ups are great for impact, but let’s not forget the environment as a whole. Pull back too so the surroundings can be showcased. Those are just as important in telling your story. Real life is messy, don’t let toys scattered about or a pile of laundry on the couch deter you. 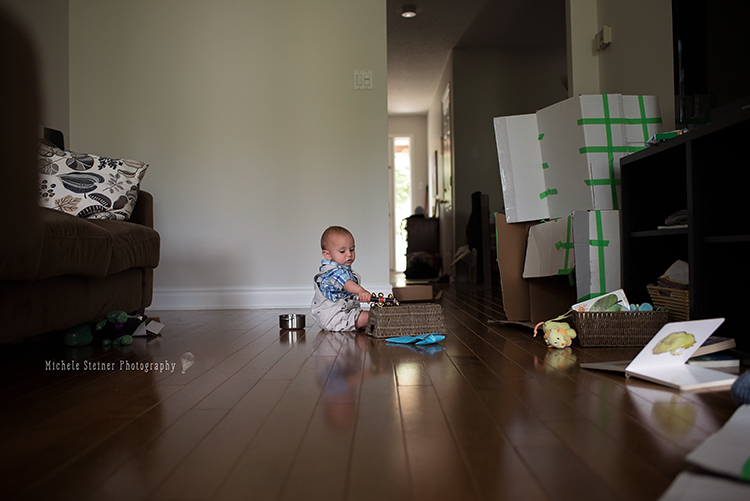 Tidy if you must, but certain clutter comes with having children in a house – a lovey on the floor, a blanket tossed on the couch, a favorite stuffy beside them – leave those! They are a part of your child’s life and will be beautiful reminders of who they used to be. Remember, they don’t have to be looking to make an image beautiful. Some of my favorites are of them not looking towards the camera. Capture them playing with their favorite train set, reading a bedtime book quietly, eating a snack or while they nap. I have sometimes helped create moments by making them laugh with a joke or setting up a sprinkler and catching those moments. Encouraging them with their play, but not directing them. Watch your backgrounds and shoot in a way that fits your style. Whether you want to be inside, at a park, forest, downtown or a field that calls to you. 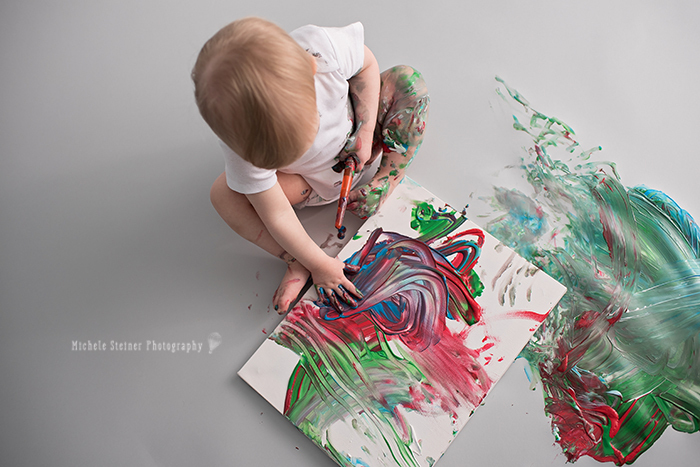 Think about how you will use these images – an album, print some out or hang some canvases. 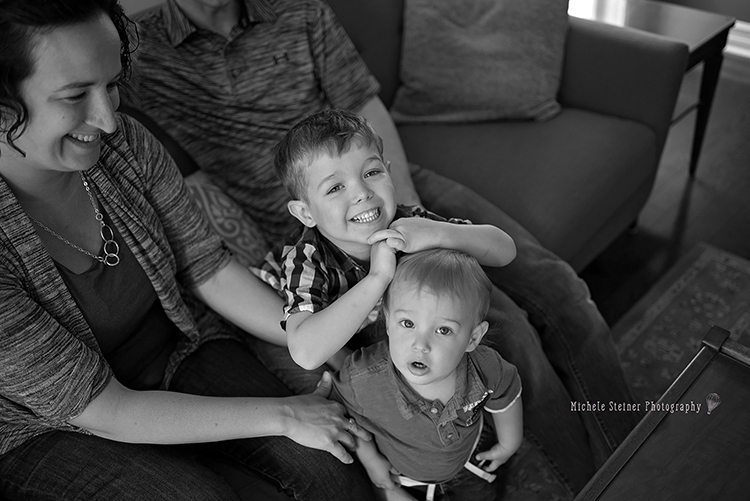 Sometimes capturing your family there is very limited light available and lit leads to a little motion blur. That’s ok, don’t discard it. 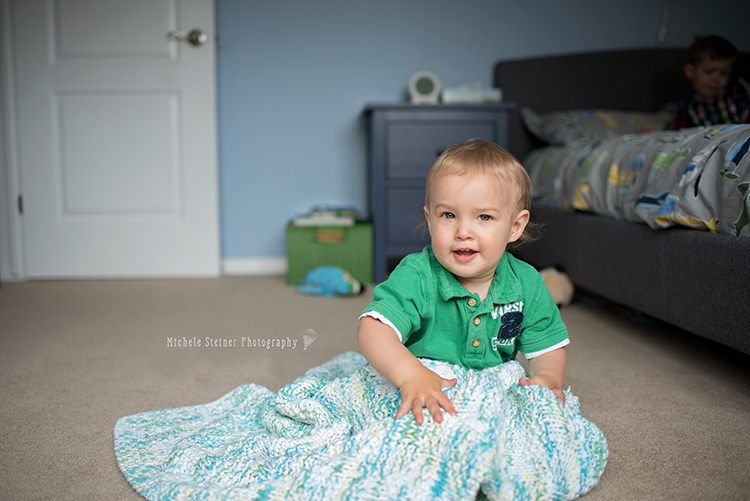 Lifestyle sessions can have a little blurriness because of all the movement there is. A higher shutter can help you reduce that if the light allow you to. Drop me a comment and let me know if these helped you capture your family’s special moments. This sweet family belongs to my cousin. These two funny, charismatic, sensitive and energetic boys are her world. It’s kind of fun watching your childhood friend-cousin you grew up with wade through parenthood. It’s even more fun getting to capture their interaction. After our session I asked her a few questions to see what she felt. I love asking clients different questions as it either helps me grow or I can see things through their eyes. 1) Looking through your images, is there one that stands out? What makes it special? It’s hard to pick just one, but the one at the end in the field with F in my lap, they were starting to get tired and it really kind of captured our family dynamic. 2) I know location was very important to you, were you happy with where we went? I was so happy with where we went. I knew what kind of visual I wanted but you cultivated every single space at the location and the end result was beautiful. 3) Do you feel your children were captured in their natural state? Id not, what could be different? Almost too much! You’re seen all of F’s silly faces! It’s hard to get them to smile. But my favorite moments you captured when they didn’t know you were taking the picture, the little laughs, the secrets. It was great seeing those little moments captured. 4) Was there an awesome moment during our session that was captured… which one? After all we went through to get a nice picture by the beach the one of them on the stump is by far my unexpected favorite. I think you might even got a bit muddy in the bushes for that one but we had a laugh and saw some cool wildlife.